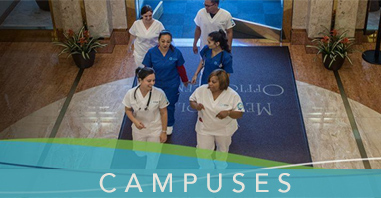 Fremont, CA (February 16, 2012) – Unitek College is delighted to announce that all three of our campuses reported outstanding NCLEX test passing performance for 2011, for our largest program, the Licensed Vocational Nursing (LVN). The NCLEX test is the ultimate quality and performance benchmark for a nursing school, and our campuses broke several records. For the second year running, the LVN Fremont campus had the *highest aggregate NCLEX test passing score of any private for-profit school in the bay area, with a passing rate of 92% for 2011. The Fremont campus has won this honor two successive years (2010 and 2011), and it capped a great year with a perfect 100% NCLEX aggregate score in the last quarter of 2011. 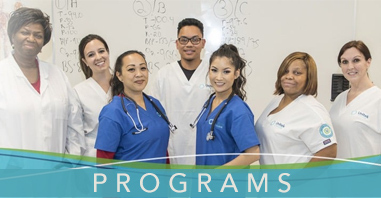 Our San Jose campus had the *highest aggregate NCLEX test passing score of any private for-profit school in the *south bay, with an aggregate first-time passing rate of 75% for 2011, topped off with a delightful 90% pass rate in the final quarter of 2011. Even in 2010, the San Jose campus was second only to Fremont, amongst private schools in the bay area. Our Sacramento campus, which hosts the largest LVN program of any school in its metro, reported that it had closed out 2011 with a delightful 88% NCLEX passing ratio for 2011, up from 74% in 2010. The passing ratio for the last quarter of 2011 was a perfect 100% !! So, here is a big thank you to our hard working student body and our accomplished Faculty. THANK YOU. This fantastic achievement is a testament to your diligence and skill. Unitek College is accredited by the Accrediting Commission of Career Schools and Colleges (ACCSC). Unitek College offers three convenient locations in Northern California with a campus in Fremont, a campus in Sacramento, as well as a Satellite campus in San Jose. Unitek College offers programs in Medical Assisting, Pharmacy Technician, Vocational Nursing, Registered Nurse Bridge – LVN to RN, 2 Stage Associate Degree Nursing – ADN, Bachelors of Science in Nursing – RN to BSN. To learn more about Unitek College, and the programs offered at each of the Unitek College campuses, visit https://www.unitekcollege.edu or call 888-775-1514. *Source Bay: The numbers reported above are published by the Bureau of Vocational Nursing and Psychiatric Technicians (BVNPT) and sent to vocational schools each quarter. Access the report from this link NCLEX Pass Rate. *South Bay is a reference to the area, which includes the cities of Campbell, Cupertino, Gilroy, Los Altos, Los Altos Hills, Los Gatos, Milpitas, Monte Sereno, Morgan Hill, Mountain View, Palo Alto, San Jose, Santa Clara, Saratoga and Sunnyvale.